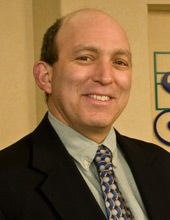 Dr. Richard Titlebaum was born and raised in Pittsburgh. He received a B.A. in Economics from Haverford College. Dr. Titlebaum received his D.M.D. from Harvard School of Dental Medicine. Dr. Titlebaum then serves as an Endodontic Resident in the I.B. Bender Division of Endodontics at Albert Einstein Medical Center. He received a certificate of Endodontics and returned a year later as Clinical Attending Staff at Einstein, where he continues to teach to this day. Dr. Titlebaum has had the additional responsibility of training the residents in their first introduction to Nickel Titanium rotary instruments. Dr. Titlebaum has guided and participated in numerous research projects at both Harvard and Einstein. Some of the projects have looked at radiograph angulation, apical extrusion, and the effectiveness of MTAD. Dr. Titlebaum and his wife Joanne have traveled extensively through Central America and South America, visiting many Mayan ruins and the Galapagos Islands. He is an avid squash player and enjoys hiking and gardening. Rick and Joanne live in Merion Station with their daughters Jessica and Sophie and their son Max.